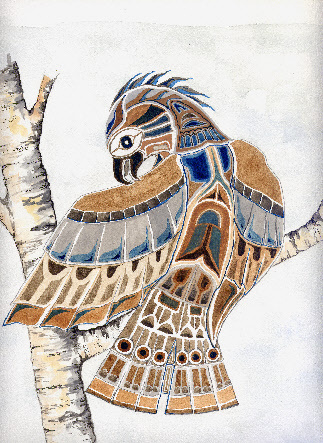 Tricia Duncan produces original watercolours inspired by the work of the Haida tribe, a group of Native American people residing in British Columbia. The pictures comprise an unusual combination of the designs used on totem poles and other artefacts by the Haida people, together with realistic details. This attractive combination of traditional and contemporary styles is unusual, and of interest to those who are seeking to purchase works of art that are different from the norm.